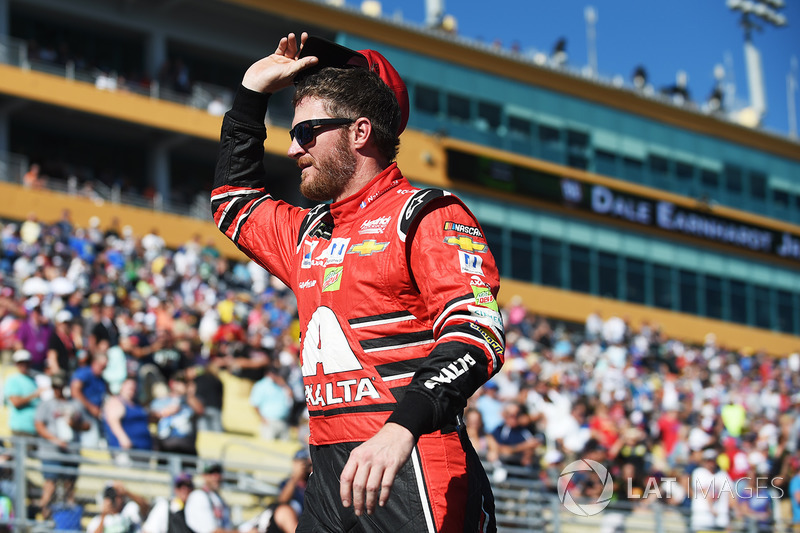 NASCAR Roundtable: Can Dale Jr. win in his racing return? The NASCAR team at Motorsport.com discuss Dale Jr.'s return to the track for a one-off Xfinity race and the playoff outlook after a wild opener at Las Vegas Motor Speedway. 1. 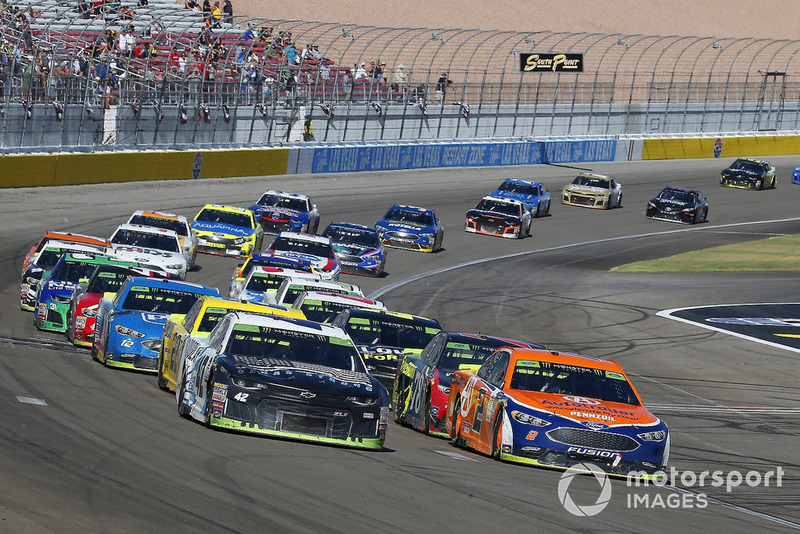 After a wild first playoff race at Las Vegas Motor Speedway, why do you think the race was as crazy as it was? Jim Utter: A large part of the outcome I believe can be attributed to a very hot and slick track, Unfortunately, the 100-degree heat kept a lot of fans away all weekend, or at least cut short their time at the track, but it made for some phenomenal racing. I also think the start of the playoffs themselves contributed to some drivers' willing to push their aggressiveness. Aside from the temperatures outside, I don't see how anyone could come away from last weekend without feeling good about the competition on the track. Kenny Bruce: A couple of things contributed to the fact that half the Playoff field finished a lap or more down. Or didn’t finish at all. First of all, the track was hot and slick, making it difficult for drivers to run alongside one another without putting themselves or the other driver at risk. There wasn’t a ton of grip after the tires began to fall off so a lot of folks were just hanging on throughout the day. Secondly, it was a Playoff race – guys are going to be a little more up on the wheel, take a few more chances to get that win and guarantee themselves a spot in the next round. I think fans will see that in most if not all of the Playoff races going forward. Even if you have a points cushion, you don’t always have a guarantee that you will advance to the next round. 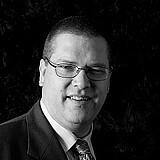 Nick DeGroot: It was the perfect storm. The hot and slick conditions, the first race of the playoffs, and of course, cautions tend to breed cautions. 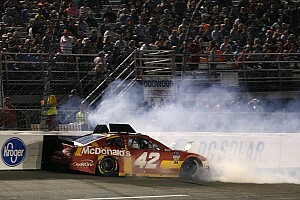 Drivers were trying to capitalize early in the postseason, taking risks and many paid for it in the tricky conditions. Additionally, I'm sure it was not lost on those drivers that a massive wildcard caps off the first round with the Charlotte Roval. You don't want to put your title hopes on surviving that race unscathed because it will likely be a wild one. 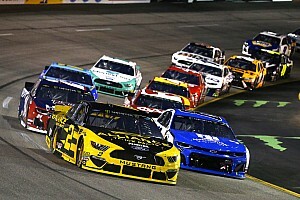 Tim Southers: For fans who like or even don’t like the playoff format, this was a perfect storm in some ways of what I feel is the desire by NASCAR for the playoffs. A race full of emotion and unexpected twists and aggressive moves made by the drivers. This was one of the best races I’ve seen on a 1.5-mile track in a long, long time. Of course the drivers who had trouble didn’t like it, but honestly, most of the time when fans like something the drivers usually aren’t happy. Either way, I expect this will not be the only race the media, fans and drivers will be talking about during the playoffs. 2. Almost two-thirds of the 16 drivers in this year's playoff field suffered issues during the race on Sunday. Who do you think is feeling the most pressure after Sunday's race to advance in the playoffs? Jim: The pressure is two-fold - wanting to get in a good position to advance to the second round and also having to avoid having a near-perfect race at the Charlotte Motor Speedway Roval to do so. I suspect Chase Elliott finds himself in an unexpected hole so early and will be looking for a big rebound at Richmond. He started and finished second in the spring race at Richmond, even before Hendrick Motorsports' improvement, which is a reason he should feel pretty good about this weekend. Kenny: Denny Hamlin and the No. 11 Joe Gibbs Racing bunch. The team wasn’t competitive at Las Vegas and there are plenty more 1.5-mile stops ahead. Hamlin dropped from 13th to 16th in the standings and while the points gap to the 12th place cutoff spot isn’t overwhelming, he now has more folks to get past if he hopes to advance. Nick: I want to say Denny Hamlin, but then I remember that Richmond is the next race on the schedule. I'll instead say the Hendrick trio. They've struggled for results this year and despite having a strong showing at Las Vegas, misfortune found them anyway. Tim: I think this weekend at Richmond has become an almost ‘must win’ for Denny Hamlin. He’s been fast at times this season but has been unable to turn that into a win. 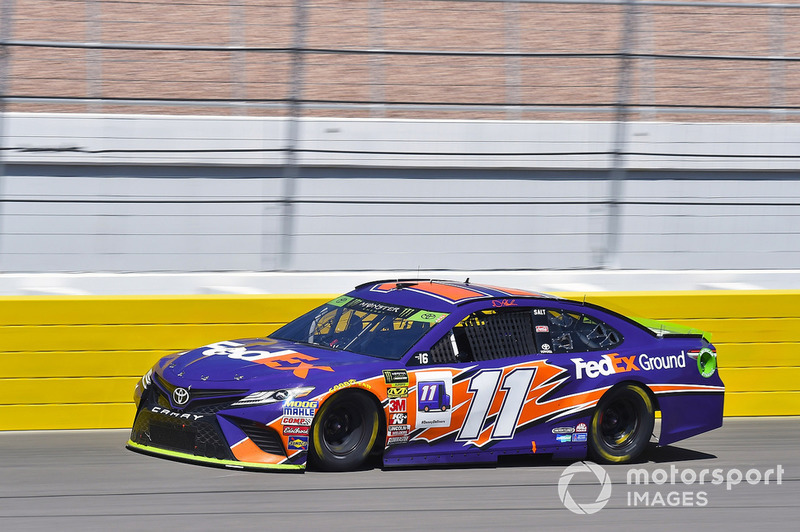 After his incident late in Las Vegas last week, Hamlin really needs a strong run and some bad luck for other drivers to advance if he doesn’t win one of the next two races. 3. 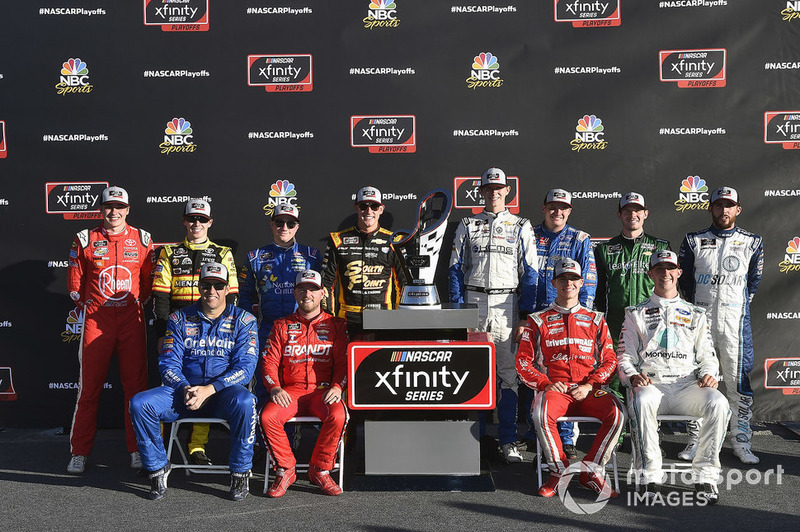 The 2018 NASCAR Xfinity Series playoff field is set. Who do you think are the first four out after the first round of the playoffs? Jim: I think a good barometer of how drivers are likely to perform in the playoffs is how often they ran in the top-five. If you can up front on a regular basis, it's unlikely you will have the speed necessary to advance. Given that, I'm looking at Ryan Reed, Ryan Truex, Brandon Jones and Ross Chastain. Chastain is a hard pick because he could win this weekend at Richmond in his last race with Chip Ganassi Racing, but if he doesn't, he likely won't be able to keep pace once he moves back to JD Motorsports. Kenny: Austin Cindric, Ryan Reed, Matt Tifft and possibly Ross Chastain. Most haven’t run in the top 5 often enough this year to make me believe their consistency will put them through – in other words, they’re more likely to have the one bad race that dooms their playoff chances. What Chastain has done in the No. 42 with Chip Ganassi Racing has been great, but after this week’s race it’s back to the No. 4 with Johnny Davis Racing. A decent team but not a playoff caliber team at this stage. His best bet is a Richmond win this weekend. Nick: Matt Tifft, Brandon Jones, Ryan Reed and Austin Cindric are my picks. Just looking at the numbers and that would be my educated guess, but again, there's still that major wildcard in the first round with the Charlotte Roval. Tim: While he performed very well in the No. 42 last week, I don’t know if Ross Chastain will be able to duplicate the finishes in his other ride and he’ll probably be joined by Ryan Truex, Matt Tifft and Ryan Reed. Although those are the four I decided on today, it wouldn’t surprise me to see one of them make it to Round 2 of the playoffs. 4. Dale Earnhardt Jr. returns to the track this weekend at Richmond International Raceway. Would it be a big surprise to you if he wins the NASCAR Xfinity Series race? Jim: Not really. Earnhardt has always performed well at Richmond and even though he's been out of the car for little while, I don't think he's lost anything just yet. 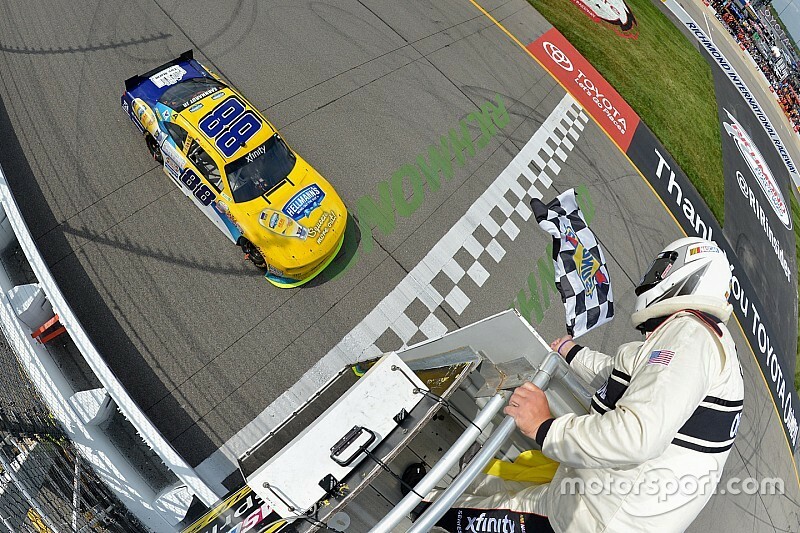 The shorter length Xfinity race is the perfect situation for him to return to competition on a part-time basis and JR Motorsports has obviously been very stout this year. Kenny: Yes, it would be stunning in my opinion. Nothing against Earnhardt, he’s obviously a talented racer. But I don’t put him in the category of drivers who can be out of the car for an extended period, step back in and immediately be competitive. I don’t know anyone I would put in that category, actually. Even drivers that race in various series and can adapt (Kyle Larson, for example), they’re still racing something every week. The sport changes too fast these days to sit out and still be sharp. Earnhardt Jr. will have great equipment, which is a plus, but not having been behind the wheel will hurt him. Nick: Due to his time out of the car, I'd say it would be a bit of a surprise, but it wouldn't be coming out of nowhere. He's in top-tier equipment and has four Xfinity Series wins at Richmond with the most recent coming just a couple years ago in 2016. Still, it would impressive if he jumps back behind the wheel for the first time this year and captures the checkered flag. Tim: It depends on how the race plays out mostly, but I would be surprised - not shocked - if he wins on Friday. From what I have been hearing he’s taking this seriously by doing some testing in a car in North Carolina prior to the race so I think he has the capability to score a top-10 finish for sure. A win would be a perfect way to go out and give his legion of fans something to be happy about for a long time.